If you’ve ever tried shopping for 100% pure organic aloe vera gel, then you know that it is a nearly impossible task. While pure aloe vera gel is a potent skin soother, it is also very delicate and requires preservatives in order to maintain a viable shelf life. That’s why almost every “100% pure aloe” product on the market actually contains about 99% – 99.75% pure aloe vera gel plus a small percentage of preservatives and thickeners. (However, we did find one truly 100% pure organic aloe vera product which you can read about below!). The quality of these preservatives will determine the safety and effectiveness of the product. The most common additional ingredients you’ll find in a good organic aloe vera gel are citric acid (a non-toxic preservative), xanthan gum (a safe thickening agent), potassium sorbate (mold-inhibiting preservative), and vitamin c (a stabilizing antioxidant). There are some studies which suggest that potassium sorbate can cause skin irritation for some skin types. Alternatives to xanthan gum and potassium sorbate include agar-agar (thickener), radish root ferment (preservative), vitamin E (preservative), grapefruit seed extract (stabilizer), and guar gum (thickener). 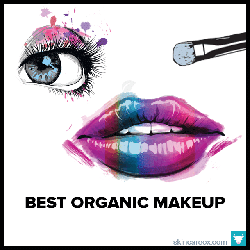 While all of these ingredients work differently, they are all safe and non-toxic. 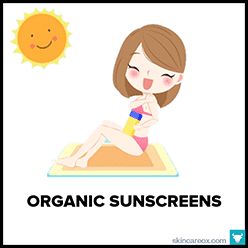 It is best to avoid aloe vera products which contain potentially toxic and inflammatory ingredients like sodium benzoate, carrageenan, parabens, sulfates, propylene glycol, triclosan, phthalates, petrochemicals, and fragrances + dyes. 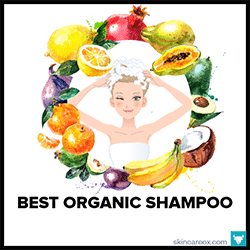 It would also be wise to avoid organic aloe vera products where water is listed as the first ingredient. This means that the product contains mostly water and you’re basically buying diluted aloe vera gel. With that said, we went out in search for the purest organic aloe vera gel products that we could find. In the end, only five products made the cut and only one product contained 100% pure aloe vera without any preservatives or thickeners. The remaining four products contain between 98% and 99.75% pure organic aloe vera gel. 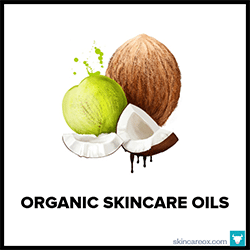 These organic aloe vera products are safe to use on the skin as a moisturizer, burn treatment, scalp moisturizer, and DIY skin care ingredient. (Also, one of the aloe products below is food-grade and can be added to smoothies and juices). This is the only 100% pure organic aloe product on the market that we could find. It contains no preservatives, thickeners, or fillers. It is produced by freeze-drying the nourishing inner leaf gel of the aloe vera plant. Simply add a few drops of water to the powder and mix until it reaches your desired consistency. It is food-grade aloe vera powder, so can be added to smoothies, used to treat sunburns, or worn as a mask. A unique organic aloe vera gel that contains organic aloe leaf juice, agar-agar, citric acid, vitamin C, and organic grapefruit extract. It contains no potassium sorbate and no xanthan gum. Because this aloe vera product contains very gentle preservatives, it must be refrigerated for best use. It feels just like pure aloe vera gel straight from the plant and is gentle enough for sensitive skin types. This soothing aloe vera gel product contains over 99.5% organic aloe vera gel. The remaining .5% contains the familiar preservatives citric acid, vitamin C, potassium sorbate, and xanthan gum. The product has a very light consistency (almost watery) which doesn't leave a sticky residue behind. 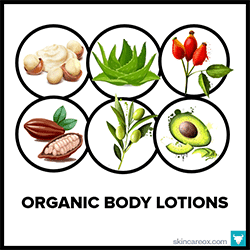 Can be easily added to a moisturizer, body lotion, or used as a treatment for burns, itchiness, or redness. A great aloe vera gel product that contains 99.75% pure, cold-pressed, and organic inner leaf aloe vera gel. The consistency is more like a liquid than a gel. 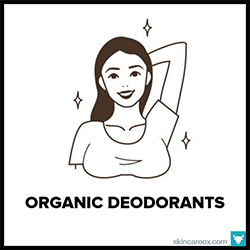 It goes on smooth, absorbs quickly, and isn't sticky. Can be worn as a daily toner, mixed with your favorite moisturizer, or used for any number of skin irritations such as itchy scalp, sunburns, dry skin, and scrapes + cuts. Instead of potassium sorbate, this 98% pure organic aloe vera gel uses radish root ferment as a gentle natural preservative (also contains water, guar gum, and citric acid). It doesn't contain a lot of thickeners; therefore, this product is watery and not gel-like. This organic aloe vera gel works well as a burn + sunburn treatment. Just pour onto a cotton ball and apply to the burned area. 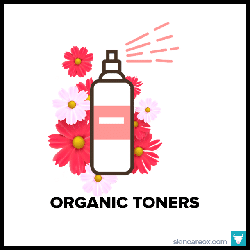 28 BEST ORGANIC + NATURAL TONERS FOR EVERY SKIN TYPETransform your skin with antioxidant packed natural and organic toners for your skin type. 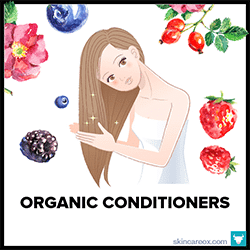 THE BEST ORGANIC CONDITIONERSThe absolute best organic hair conditioners that are safe, effective, and truly organic.